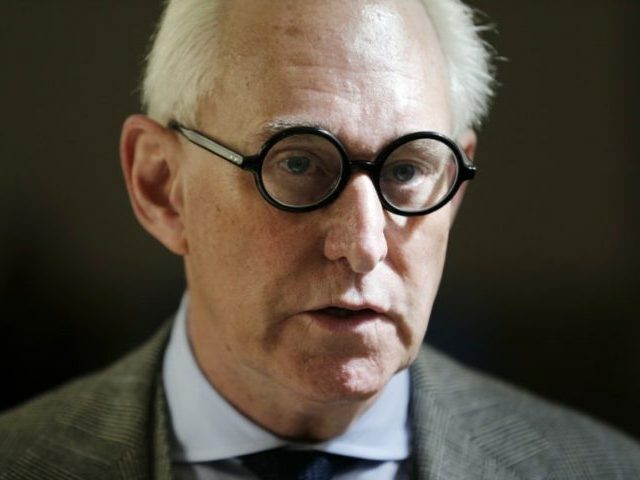 WASHINGTON (AP) — Longtime Donald Trump associate Roger Stone says there is “not one shred of evidence” that he was involved with Russian interference in the 2016 election. Stone is defending himself in a lengthy and combative statement released ahead of a closed-door appearance before the House intelligence committee Tuesday. He has also released a series of supporting documents, including direct messages he exchanged with Guccifer 2.0, the unnamed hacker who has taken credit for breaking into Democratic National Committee email servers. Stone, a Republican strategist who has known Trump for many years and informally advised him during the 2016 campaign, also denies he had advance knowledge of the leak of former Clinton campaign chairman John Podesta’s emails and says he never colluded with WikiLeaks founder Julian Assange. He has long denied that he worked with Russian officials to influence the presidential election. Stone’s interview comes as the House and Senate intelligence panels are looking into the Russian meddling and possible links to Trump’s campaign. Stone has been part of the investigation partly because he has said he communicated during the presidential campaign with Guccifer 2.0. On WikiLeaks, Stone said he was kept apprised of Assange’s plans to release emails by a journalist he said served as an “intermediary.” He did not name the journalist. His statement is heavy on criticism for California Rep. Adam Schiff, the top Democrat on the House intelligence panel, who suggested in March that Stone had a direct line to Russian hackers based on Stone’s tweet “it will soon be the Podesta’s time in the barrel.” Several weeks later, Assange released Podesta’s hacked emails. Stone says that tweet had nothing to do with the release of emails, but was out of frustration after Podesta’s counterpart on the Trump campaign, former Trump campaign chairman Paul Manafort, resigned. “Shame on you, Mr. Schiff,” he writes. Stone has been outspoken in his own defense and asked for his House appearance to be public. But he said the House panel insisted on holding the session behind closed doors.